Happy Firday, friends. This is not an April Fools joke. I am indeed posting. 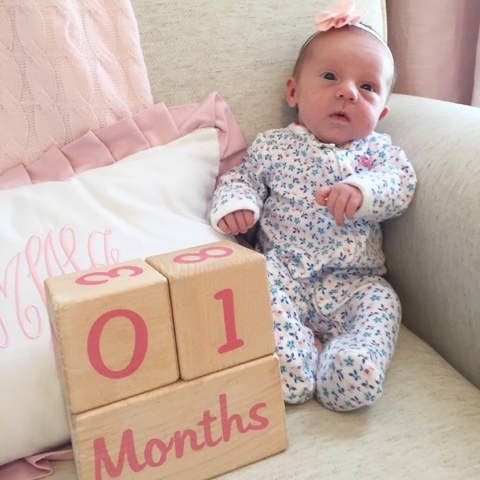 Madeline is now six weeks old! How did that happen?!?! She is adorable and we love her so much. She wants to be cuddled all the time and never wants to sleep so that explains why you haven't heard from me. 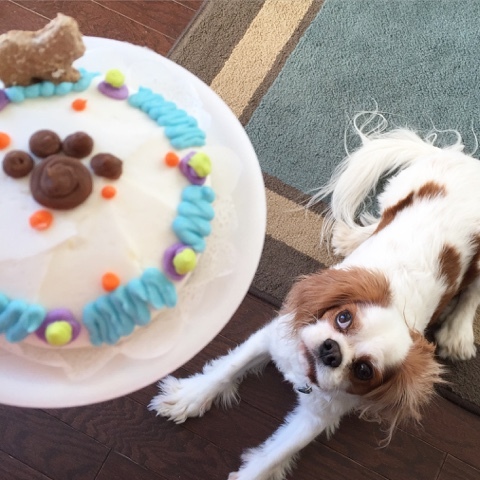 My Riley celebrated his sixth birthday this month. It wouldn't be fair not to include his milestones, too. He is so protective of his little sister but also a little grumpy that he's been getting less attention. He gets so excited for his afternoon walk every day and then ends up getting yelled at for trying to wrap the stroller wheels in his leash when we turn the corner for the street that contains the "treat box." 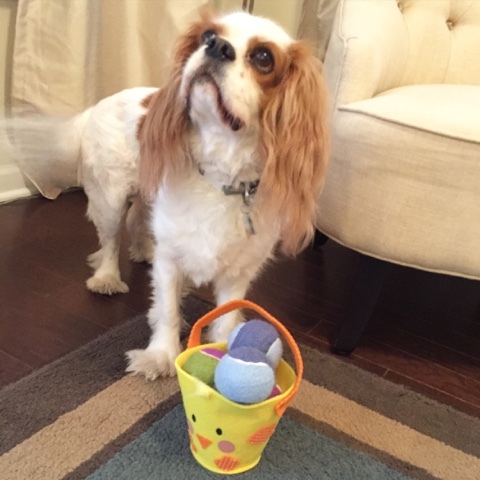 All my loves got an Easter basket this year. 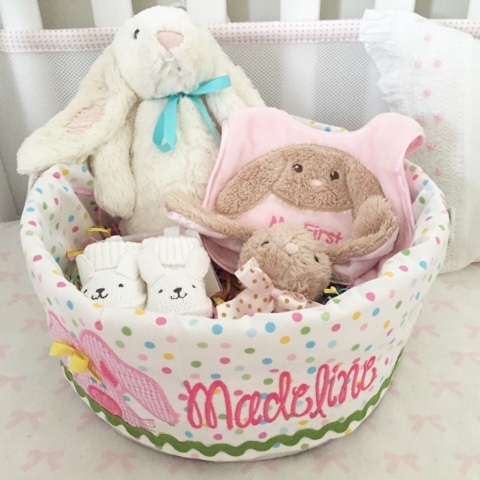 We're not going to discuss the ridiculous amount I spent on the actual basket for Madeline. 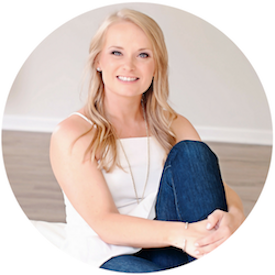 I ordered it from the hospital before I had my epidural. I'm using that excuse and I promise to use it every year. Isn't it the cutest thing ever?! My favorite item from the inside was this monogrammed Jellycat rabbit. I mean what southern lady doesn't need a stuffed bunny with their monogram on it? My nails are looking a mess. I last painted them after my water broke and before I went to the hospital. This weekend I am giving them a refresher and breaking out the tan towels. There is a bottle of breast milk with Corey's name on it to make this happen. This. A friend gifted us this Lilly match as a baby gift and I about died. 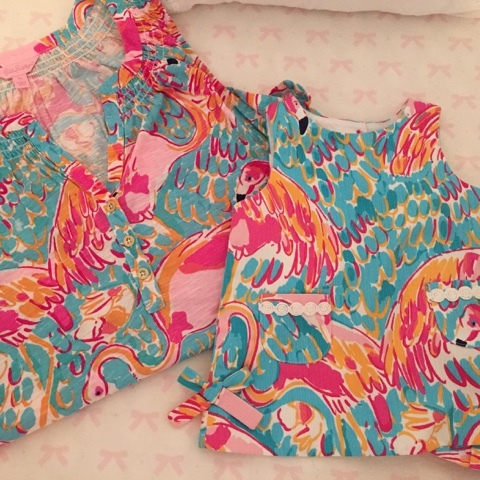 I cannot wait to twin with my little one this summer and I may or may not have ordered the shift in next summer's size also so we can keep matching once she is bigger, too. She will wear it with her baby Jack Rogers. And Corey is shaking his head. Essie top here and baby shift here.